What I appreciate about this definition of generosity is that money is only one component. In their research, Christian Smith and Hilary Davidson discovered that there are five different measures of generosity: financial giving, volunteering, relational generosity, neighborly generosity, and self-evaluated generosity. It is the fourth one of neighborly generosity that three of us on the Lake Institute staff experienced deeply this summer. 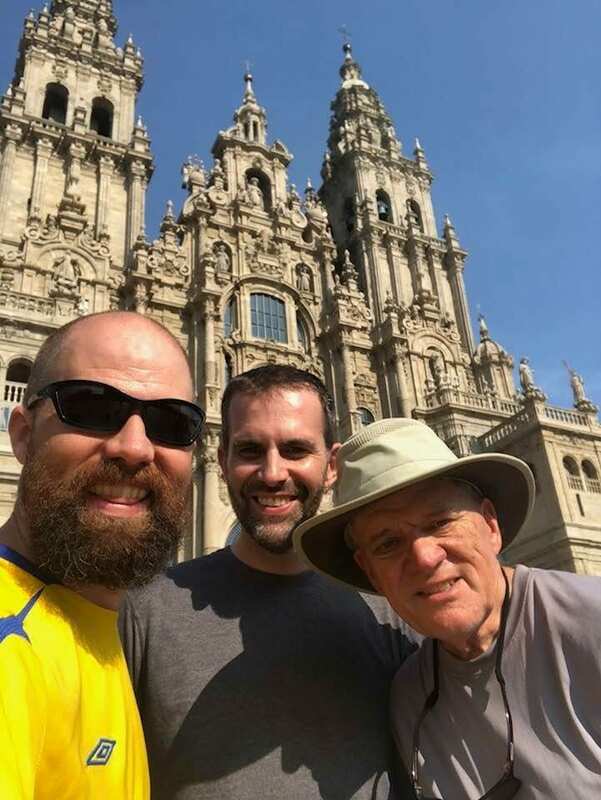 It just so happens that in June I walked a portion of the Camino de Santiago in Spain – a traditional Christian pilgrimage that has become more broadly known and walked in the last 20-30 years. Then, in August, David King walked that same path in Spain while Rafia Khader performed hajj, the pilgrimage to Mecca, the birthplace of Islam, which is required of all adult Muslims at least once in their lifetime if they are physically able to perform the arduous journey and can afford it. It wasn’t planned, but the three of us found ourselves on pilgrimages this summer, pilgrimages that allowed us to experience neighborly generosity to the fullest extent. There is a common phrase on the Camino: the Camino provides. Obviously the path itself doesn’t provide; things don’t magically appear out of thin air. The spirit of the Camino provides through people, usually strangers, who offer what is needed in the moment. For example, my friends and I stopped at a small café for a break one morning. While my friend was tending to her feet (that becomes a regular practice while walking the Camino! ), a woman and her husband sat down at a table nearby. Her feet were also bothering her and she needed some Neosporin. My friend offered her the ointment she needed and from there the conversation began. As we got to know each other, we discovered they used to live in Indianapolis and attended a church where I used to work. We began to reminisce about people we mutually knew. Later in the day we saw them again. The woman had been thinking about this church as she walked and wondered if by some small chance I had known her children when I worked there. It turns out I did! And, when I looked closer I recognized this woman and her husband! We had a beautiful encounter because of a neighborly offer of Neosporin. The Camino provides. The spirit of the Camino also offers listening ears and open arms. It offers ice water and ibuprofen and blister care. The generosity experienced on this pilgrimage is about giving liberally. It trains you toward an orientation of generosity. Because I received a gift, I’m inclined to give a gift to another. Pilgrimage is an opportunity to practice generosity in every moment; opportunities to hear deep, personal stories of grief, longing, and hope. I began to wonder if generous people are drawn to go on pilgrimage or if being on pilgrimage creates generous people. I suspect it’s a little of both. Anne’s words resonate with my Camino experience as I too felt that the experience helped to lead more toward an orientation of generosity. Material possessions were limited in ways that led almost everyone to find common ground. When everyone is in a sweaty T-shirt and shorts, you are not caught up in status or standards. There is a sense that while each individual is on his or her own journey, we are also all in this together. 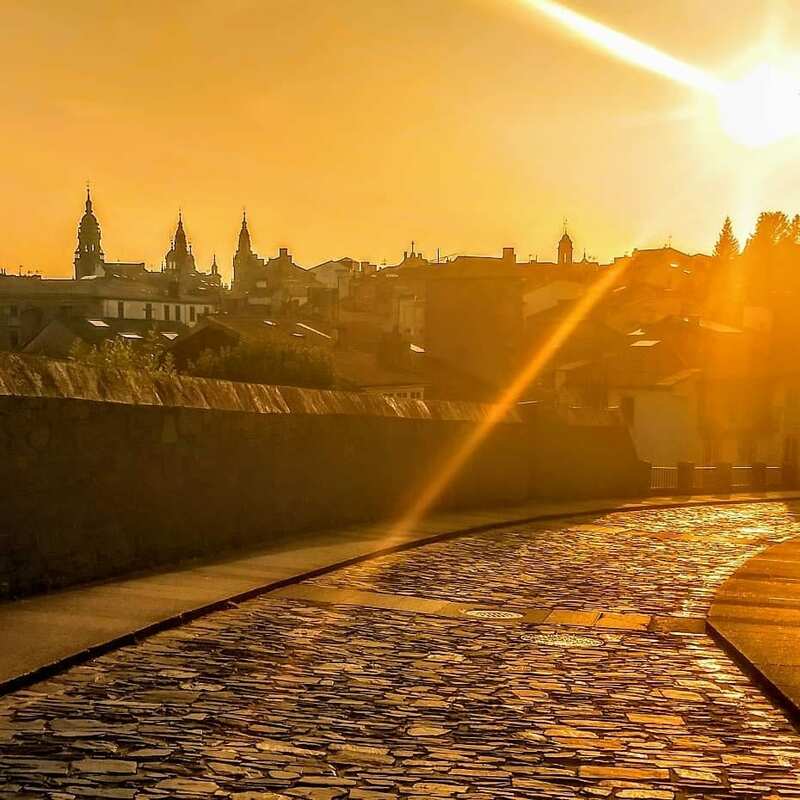 Alongside Anne’s notion of the “Camino provides,” there is also another ubiquitous phrase that pilgrims use to greet each other: “Buen Camino.” Across multiple language divides, this simple phrase literally means “have a good journey.” Another greeting, however, goes a step deeper. Others would greet you with the Latin “Ultreia.” It literally means beyond and is an encouragement to keep going, onwards to your goal. I found those ever-present greetings beautiful and so encouraging. I’ll admit that I felt a little disappointment on the first few days at home when my “Buen Camino” greetings received a puzzled look from friends and family. But I soon realized that while the words may not translate, there are ways that we can be gentler with ourselves and more generous with others back home in our daily lives. 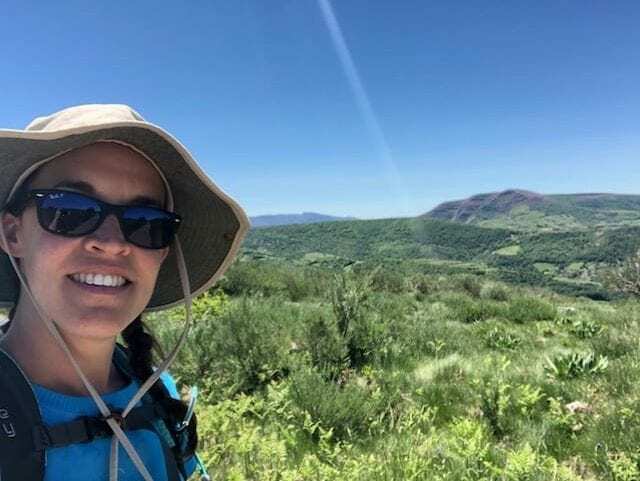 While the terrain itself on the walk through Spain was sometimes difficult, I would say that it is more the reintegrating from a pilgrimage experience that is the hardest part of the journey. Like Anne and Rafia, I was struck by the generosity of both friends and strangers, but I was less prepared for how to reintegrate the numerous “generosity in the moment” experiences that Anne mentions into daily life when deluged by email, commuting, and parenting. But with ongoing intentionality, I think it can be done so that pilgrimage experiences do not only become stories to tell but a way to live. 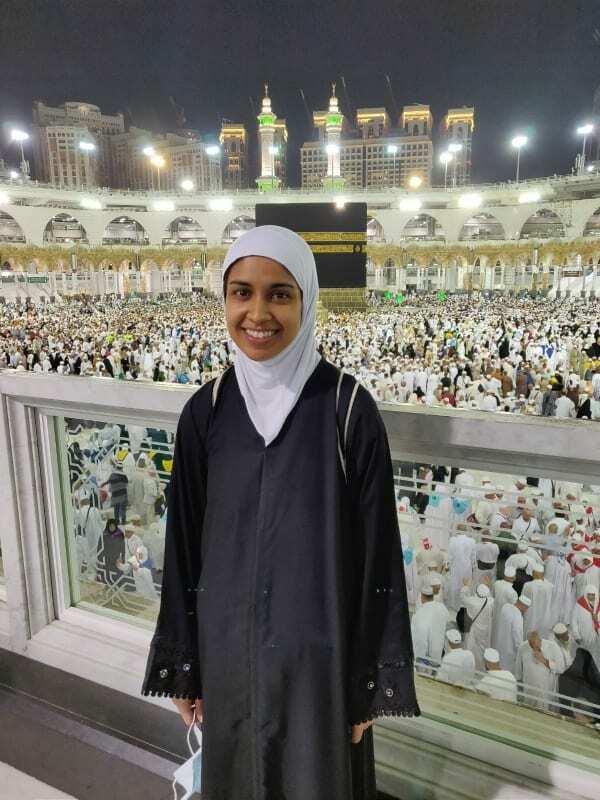 Rafia Khader after the farewell tawaf (Islamic right of pilgrimage). My experience at Hajj required much less walking, but a whole lot of patience. Hajj can be a trial, especially for pilgrims from North America who are not used to being around throngs of people from all over the world. People push and shove, they don’t always cover their mouth when coughing or sneezing, and if you’re not careful, you might get hit by a pebble during the stoning of the jamaraat (this is a rite of Hajj where Muslim pilgrims throw pebbles at three walls. It is a symbolic reenactment of Abraham’s hajj, where he stoned three pillars representing the temptation to disobey God). I was even elbowed in the mouth while performing tawaf (circumambulation around the Ka’aba). It’s hard to resist not responding in kind. Yet I was reminded amid all the chaos, there were many people who exuded generosity. In one particular visit to the Ka’aba, a man from Iran who did not speak English very well gave me his chair to sit on (the other option was to sit on the hard marble floor). There was one particular young woman in my group (who even had her two-year-old baby with her!) who, in my mind, embodied the spirit of Islam beautifully. This woman provided a quiet service of collecting people’s water bottles after they were done drinking (littering is a problem during Hajj and my group was mindful of not adding to that), handing out food to others before she took her own, and making sure everyone was receiving the much-desired fan (it averaged around 110 F in Saudi Arabia). The lesson that I learned is that even though it is easy to get stuck on people’s bad behaviors, there are people who are kind and generous with their time. They are often more quiet, but if you look you will find them. Even though David and I walked the same path, our experiences varied based on the people we were with, the weather of the day, and the time of year we walked. Rafia’s experience, although also on a pilgrimage, was quite different from ours solely based on the number of people traveling to the same city at the same time from all over the world. Wherever we were, whoever we encountered, whatever we experienced, generosity was abundant. We took time apart from our regularly scheduled lives to make space and in opening that space, we allowed for opportunities of generosity to be experienced, in the giving and the receiving. The power of the pilgrimage grows with us over a lifetime of reflection on our encounters with the the presence of God. May God continue to bless you as you generously bless others for the glory of God!